· Stronger links with China, Japan and the Commonwealth countries. Y@HOVAH TSIDKENU LORD our Righteousness (Jer. 23:6) we pray for return to our “pre common market” legal stance with our courts free to impose justice without a second opinion from the EU. MELEK HaGOYIM King of the Nations (1 Tim. 6:15) we ask that You will return us to our “pre common market” Sovereignty with power to make decisions concerning our own country..
MELEK KaMELECH King of Kings (1 Tim. 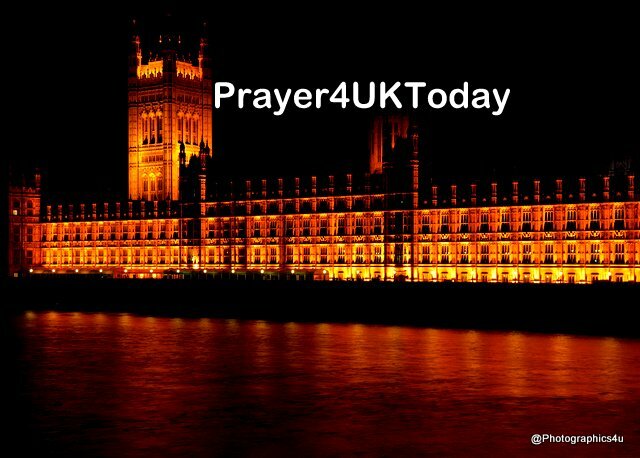 6:15) we pray for a No Deal exit leaving the EU on our own terms. Following the loss of a serviceman in World War I, it was the custom to send a letter of condolence, written by the soldier’s commanding officer. An elderly church member once showed me the note received on the death of her uncle. It testified to his bravery and related that he had ‘passed away peacefully after smoking a last cigarette’. Her uncle had asthma and had never been able to smoke. The kindly intended letter merely increased the pain and sense of loss for the family. It disguised the horror of a more violent death. When the guns of war fall silent, the physical and mental scars remain. The peace of God is a precious gift in our darkest suffering.